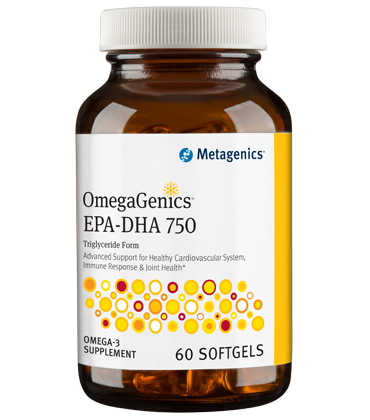 OmegaGenics® EPA - DHA 750 features a concentrated, purified source of pharmaceutical-grade omega-3 fatty acids from sustainably sourced, coldwater fish. 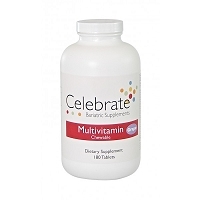 Each softgel provides a total of 375 mg EPA and 375 mg DHA. 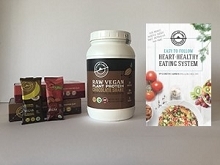 Ingredients: Marine lipid concentrate [fish (anchovy, sardine, and mackerel) oil and calamari oil], gelatin, glycerin, purified water, natural citrus flavor, mixed tocopherols (antioxidant), rosemary extract, and ascorbyl palmitate (antioxidant).